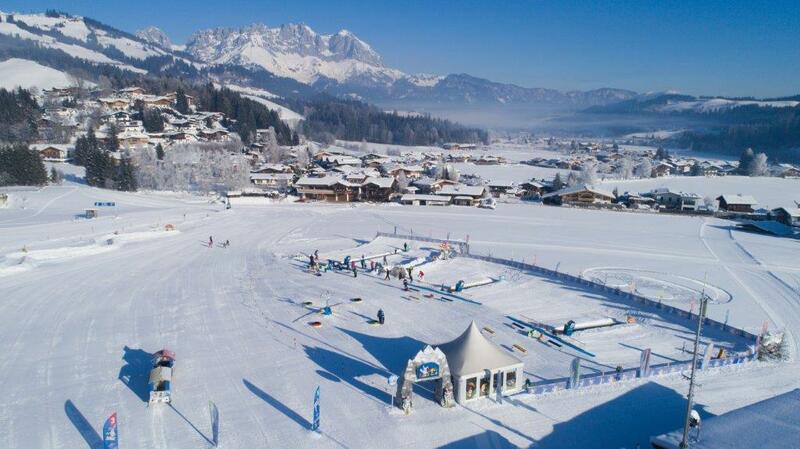 The area of the ski school is ideal for children’s and beginners’ lessons. The youngsters and adult ski enthusiasts alike learn to control the “boards of the world” on the Reither Streif with its Fun Park, conveyor belts, rope lifts, T-bars, ski carousel, Bambini Club with heated tent, world cup starting boxes for Kiddy races, Hubsi Express, well-equipped ski hire and ski service, convenient registration, office and large car park. A state-of-the-art snow making system ensures ski fun from December to Easter, and lighting every Wednesday evening offers great night-time skiing on the brightly illuminated ski meadow. And when your legs are tired, skiers and visitors can enjoy the restaurant “Zur Andrea” run by the Joechl Family/Reitherwirt, which offers a unique mountain panorama with a wonderful winter terrace!